Background: a look into my creative process as I build a dance start to finish. See previous posts to follow along if you’ve just jumped in. Welcome to my madness! You know, I was just thinking (I do that a lot, my brain doesn’t shut off very often…). If you’ve ever created a dance, you’ve created a storyboard in your own way. Maybe it was in your head, or scribbles on a piece of paper, chatting with a friend, or maybe random notes you wrote down. 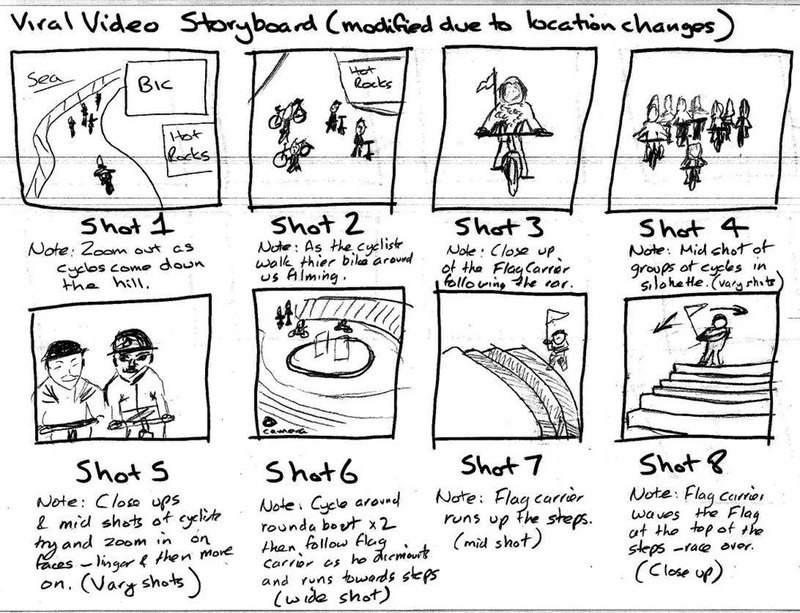 A storyboard is kind of an outline of what your dance will be. I’m sure we’ve all doodled dancer waypoints/routes/movements/set ideas while distracted before! When I create, I refer to it as “breathing life” into my dance. Honestly, I create for myself first – the whole experience, from thought, to birth, to development, to fruition. My hope? to enjoy the creativity, new ideas, choreography that takes my breath away, and a dance I love and want to share. To feel, to laugh, to experience emotion – whatever it is. If you haven’t heard the song I’m working on, I’m keeping a youtube link to it at the bottom of these posts. I like to free write my ideas by typing them in a private blog I have. I type faster than I write, plus I can paste links, pictures, costume ideas, etc. As always – do whatever works best for you! I’m an unabashed geek – and have now decided I want a graphics drawing tablet so I can really doodle here! I’ll drool over them on Amazon in a while…but I have a very important mission here. Free writing my dance ideas! These will help direct the rest of the flow of the dance…so super important! First step, while I brainstorm I listen to the music over and over again. Remember the comment I made about choosing a piece of music you can listen to over and over again? If I shudder at the thought of it, I immediately toss that song on the “no” pile. 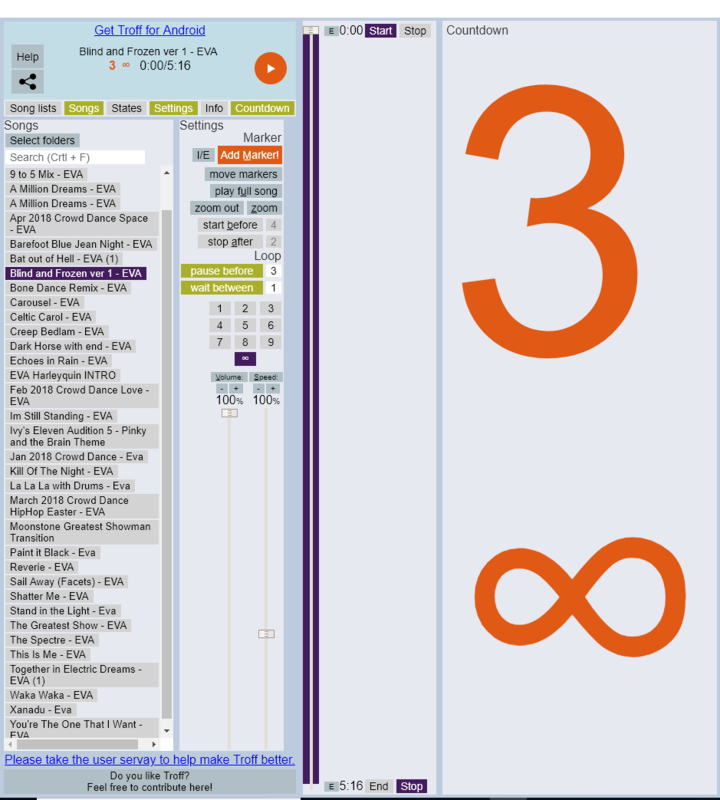 I like to use Troff to listen to music for a dance, and I can click on the infinity button to keep it endlessly repeating. Troff has a 3 second countdown which is great and can use the space bar to start and stop. When I get to the actual choreo, I’ll be using more of Troff’s features. While brainstorming I also start and stop the music a lot as I capture ideas about different pieces of it. Below is how I write out my dance ideas for my own use. Not pretty, but not meant to be. extend the sound in the beginning of the song, open the curtain to present day, a book opens, light shines out. Move closer, during the long note disappear into the book. Background/story behind the dance – multiple lifetimes, love, passion, strength, give and take. Land in a castle type room, open, chandeliers, candles, dramatic lighting, set to midnight, very specific and ornate pieces – these will carry back at the end. I land in a kneel, two other female dancers are with me. Three male dancers are the focus, I am a bit disoriented at this point – expressed through slow walk, slow pose, the women and I moving into place – closer but separate from the men. My costume has changed – hopefully through fades so that it’s instant. Dancers: me, two other women, 3 men. All main costumes are medieval yet still modern. My starting and ending costume is present day – must change really fast. Men’s are strong, black/earth colors. Boots. Women are in dresses – must flow well, show legs during dancing…no stretchy mesh. Shoes – boots. Male & Female costumes mesh together. dancing starts – men. while they dance, men approach the women, I back up behind other two women. During chorus men turn and move forward to front center stage, main male dancer turns – doing a different animation and looking at me. During the chorus, women start to dance, not right at the beginning of the chorus but more subtle, not sultry but not as strong as the men. During the long note, women move forward, use the power of the instrumental beats to take center stage. Men move back and to the side. Offset formation? At this point, I’ve “transitioned” from current time to the past – like previous life memories. Women are the main focus, men dancing secondary. At the start of the chorus, the men come forward and we all dance together, very strong – single animations. Use formations – don’t want it to feel all partnered at this point. what if the castle seemed old after falling through the book, then begins looking like it did in the past during the dance? Shedding cobwebs, copies of props that are darker – maybe use a script to change the tint from darker to white in a slow transition, maybe even some shine? At I would die – men and women in pairs turn and dance in opposition. Cut out guitar solo or most of it? Is it worth the work for 25 seconds? Is there something I can do with it? At 3:16 and quick instrumental changes, add a lot of mover movement across the floor, wild dramatic dance moves and formation changes. This lasts for 40 seconds. Music slows, change into couples animations for slow part and chorus? After chorus switch to single animations. At end note, dancers disappear, set fades, and the original set in present time appears. I appear kneeling on the floor, light effect out of book dims and the book closes. Special objects in the room glow as they fade in – these are heirlooms from the past that appeared in the castle. Also include a pile of old letters – have them spill out of the book? Or a particle out of the book? Maybe even a key? At the end, leave it hanging – did they rekindle their love or did she walk away? Have a dramatic pose and pause where you’d expect her to turn to him…leave it unfinished. During the change in the music….the set starts to fade out in pieces before everyone’s eyes leaving little but me and the lead dancer. During those last beats of the music, I’m falling back out of the book. Animations – opposition, mirror, single, couple. Set – two main sets, contemporary room, small. Inside a castle keep – stone walls, stone floor. Tapestries, candles, chandeliers…what else? Not over full but not empty either. Movement – will be a lot of waypoints in this one. Effects – book opening and aura that spills out, castle that goes from “old” to brighter/cleaner, change of set, fade out of castle keep slowly. Add a frame for the edges of the set that gives it an older feel? like a vision? heirlooms that glow as they appear at end. Dramatic lighting for set. Advanced lighting?